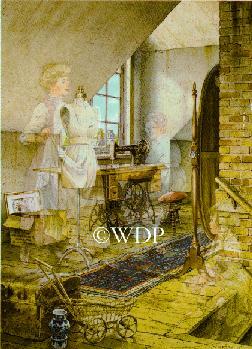 Charles L. Peterson's Limited Edition Print " A Stitch In Time "
Published by White Door Publishing. I have witnessed this ritual with amazement on many occasions. special satisfaction in a smile and grateful bug. New release in "THE MEMORIES COLLECTION" by Charles L. Peterson.